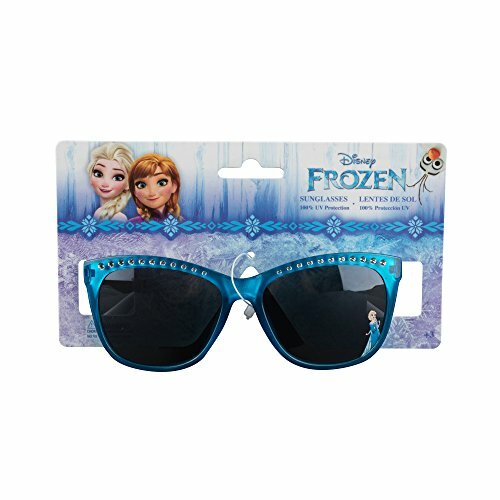 Your little one will be the coolest kid on the block in these gorgeous and safe wayfarer-shaped, non-polarized sunglasses from Pan Oceanic LTD with cool Disney Frozen Design. These sunglasses are sturdily designed to fit all children comfortably. Its shatter-resistant lens and frames are constructed using high-grade and 100% kid-proof plastic. These stylish Disney Frozen sunglasses are available in clear, blue and purple shades. About Brand Pan Oceanic LTD is a leading brand and distributor of boutique eyewear to retailer across the world. In addition to sunglasses, the brand deals in handbags and scarves as well. You will get the latest collection of a wide variety of sunglasses and other fashion accessories with this renowned fashion brand. If you have any questions about this product by Pan Oceanic LTD, contact us by completing and submitting the form below. If you are looking for a specif part number, please include it with your message.